Not much new to report here, Black Hills fishing remains quite good. We have had a great summer as far as moisture goes, at times it has seemed like a bit much, but we will take being 8″ above normal instead of the dry summer we had last year. Stream flows jumped again after another heavy rain on Saturday night, but most have dropped back into good fishing shape. Rapid Creek is still at tad high, but fishable. 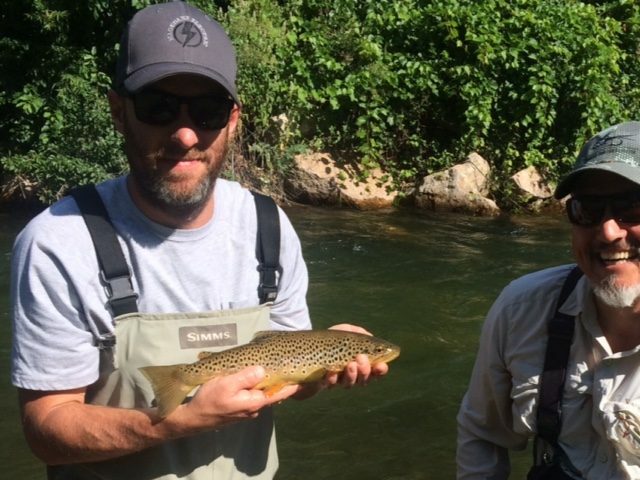 Castle Creek, Spearfish Creek, and Box Elder Creek have come back down to good fishable levels. Spring Creek, French Creek, and Grace Coolidge are still a tad high, but will be coming down in the next day or two. Fishing is best overall with nymphs- we have been fishing skinny tungsten jigs, tungsten brush hogs, tungsten zebra midges, and tungsten san juans. In the higher elevations use a dry dropper with a hopper, hippie stomper, or klinkhammer as your dry. Streamers like thin mints and hans’ leech are really good right now. Dry fly activity has been a bit sporadic with the higher flows, but if you hunt around a bit you can find tricos in the morning, caddis in the evening, and some pale evening duns mid to late afternoon. Terrestrials ought to be turning on soon. Don’t over look the lakes- good opportunities to fish any of the smaller lakes- Center, Sylvan, Legion, etc. Otherwise give Deerfield a try and Sheridan Lake late in the evening. Its a great time for Black Hills fishing. 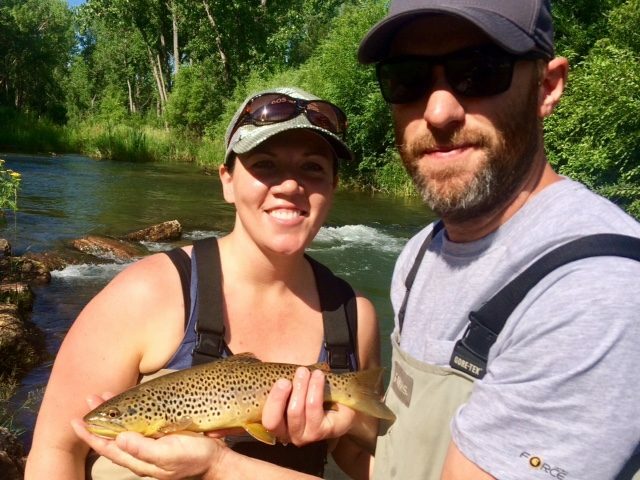 Stop by the shop for more fly suggestions, give us a call to book a guided trip 605-341-2450, and get out and go fishing!